Malbec is one of the six grapes that can legally be included in the red blends of Bordeaux. When transplanted to warmer climates of California or, more commonly, Argentina, the grape can stand on it’s own and produce fleshy and juicy wines. 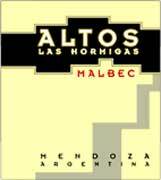 Altos Las Hormigas Malbec is one of those inexpensive, fruit-driven wines that I first tasted on Winecast 24. A recent reader comment prompted me to pick up the latest vintage to see if this wine is still delivering the goods. Made from 50% estate grown Malbec from Lujan and the balance from purchased grapes from Valle de Uco in Mendoza, Argentina, this wine is fermented in stainless steel and then part of it is aged in oak for 9 months before final blending and bottling. 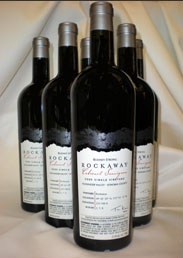 In the 2005 vintage, 35,000 cases were produced with 18,000 of those imported into the U.S. where it is widely avalible for between $8 and $10 a bottle. Altos Las Hormigas, Malbec, Mendoza Argentina 2005 ($8) – Very dark purple-black in color with aromas of blackberry, wet earth and black pepper. 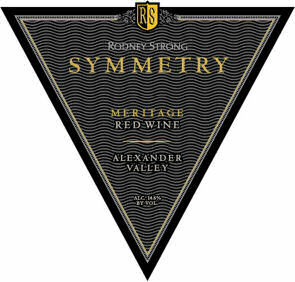 In the mouth the wine is juicy and loaded with blackberry and plum fruit, a bit of pepper and spice, finishing with moderate, but well integrated, tannins. A dependable value just perfect for enjoying with grilled beef.